Gee, do you think there’s any competition? WordPress is extremely flexible, adaptable, and customizable. It has a gazillion plugins that make it do anything you want to do. And to me, at least, its arrangement is very intuitive. So why am I on Blogger? 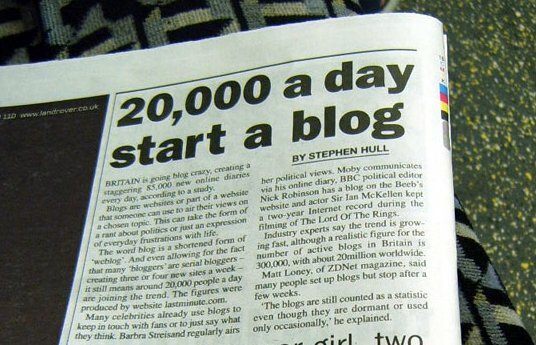 Well, because Blogger does one or two things that WordPress does not do. Or, more accurately, a site hosted at Blogger allows you to do one or two things that a site hosted at WordPress does not allow you to do. I could always do the self-hosted WordPress approach, and then do anything I want, because I am hosting the site myself. But that would defeat my main purpose here, which is to not host the site myself. I want to get rid of those headaches. So I am willing to take a couple of one-time headaches at the beginning, in exchange for losing the ongoing, long-term headaches I would have by self-hosting. One big headache, ironically enough, has been configuring the site for mobile viewing. I say this is ironic because Blogger is owned by Google, and Google has recently had a big push of trying to get webmasters to make their sites mobile-friendly — to the extent that sites are now penalized in Google search results if they are not mobile-friendly. So then why Blogger, owned by Google, does not have a built-in plugin to create a compact mobile menu is beyond me. But it doesn’t. Instead of “click and it’s done,” I spent three or four days searching all corners of the Internet for code to do this. I assumed (erroneously, it turns out) that finding some pre-written code would keep me from having to reinvent the wheel. I was wrong. I found all kinds of code, but none that really did what I wanted it to do. I finally ended up rolling my own anyway, which surprisingly took only a couple of hours. I guess sometimes it really is easier to start from scratch. Who knew? Another headache — and I’m not sure if this is related to the mobile menu code or not — is that when you view the site on a mobile phone, there is a small “x” underneath the “Menu” link. I have no clue where this “x” came from. I have searched through the template code, the plugin codes, everywhere. Can’t find it. I have removed the mobile menu code. The “x” is still there. It doesn’t show up when you view the site on a computer, only on a mobile device. That should be a clue, but I still can’t figure it out. Here, too, I’ve wasted enough time. I’m giving up on it for now. Please ignore that “x” if you see it, but I am launching the blog while it is still there. One of these days, maybe I’ll find where it comes from and eliminate it. Some things really shouldn’t be this hard…. Update, March 30, 2018: See this post. Photo courtesy of Annie Mole – London Underground Tube Diary. Previous Article Italian-ness, or What Does This Category Mean?